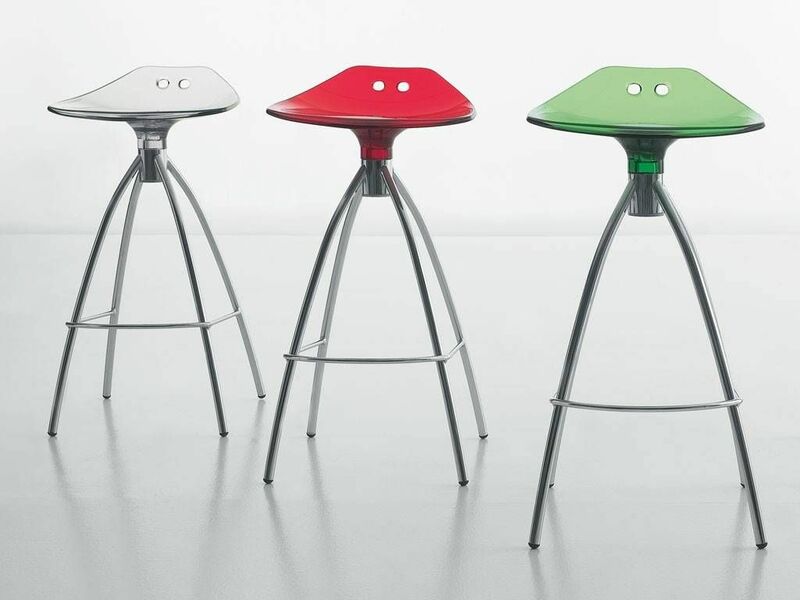 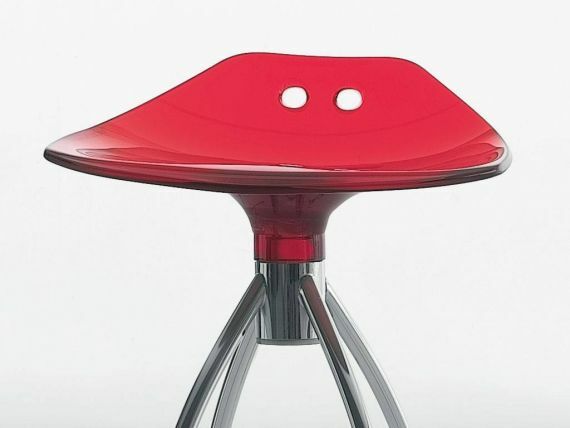 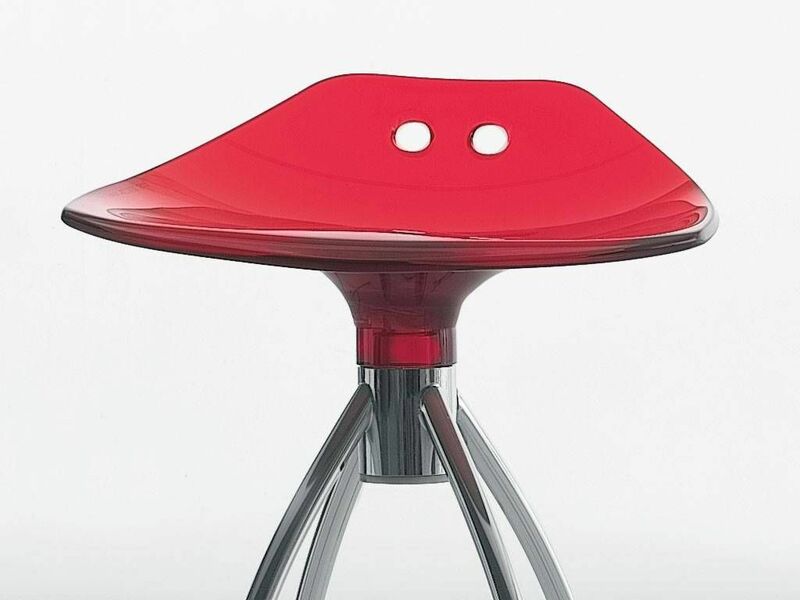 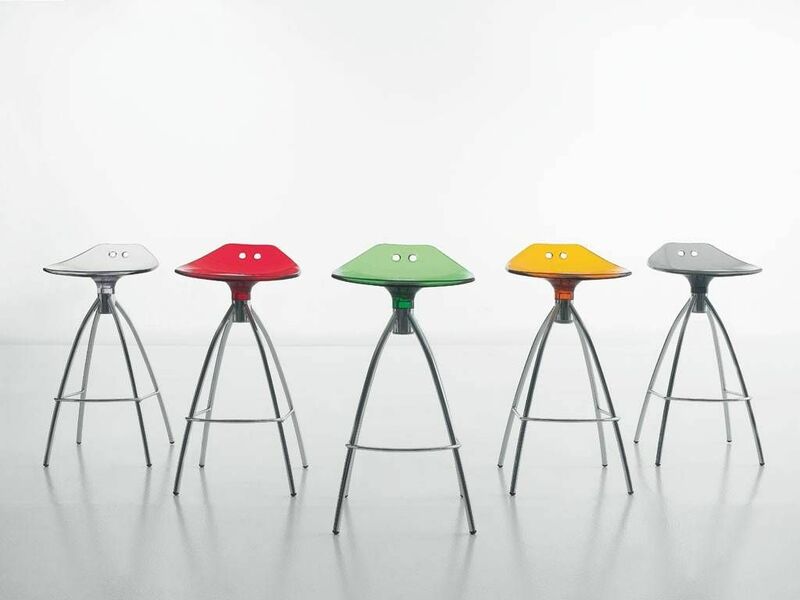 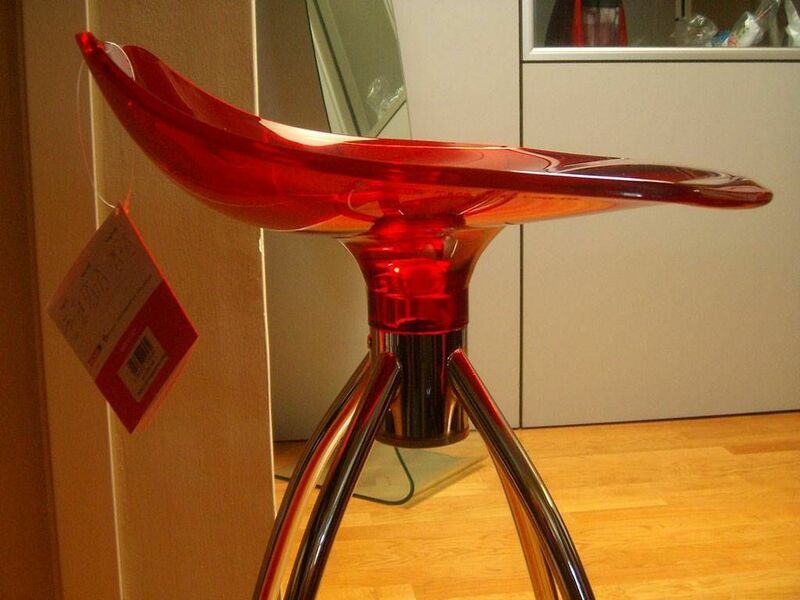 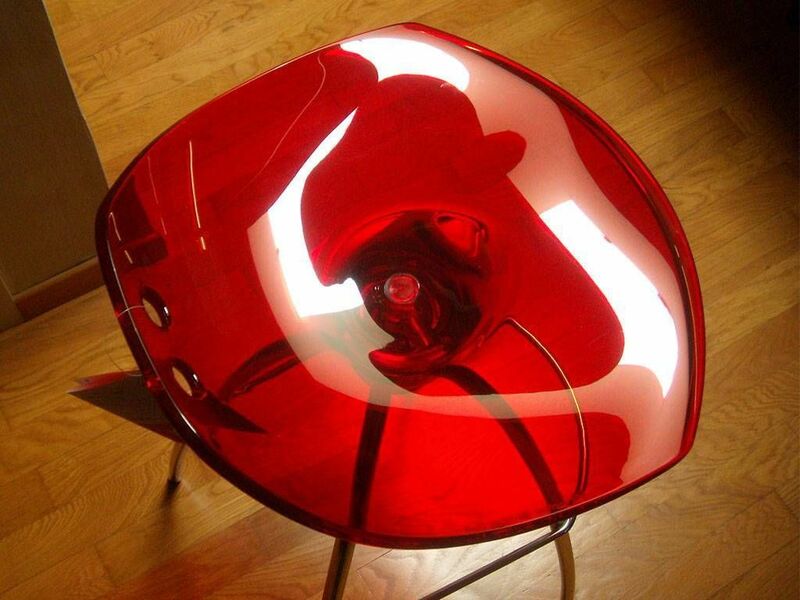 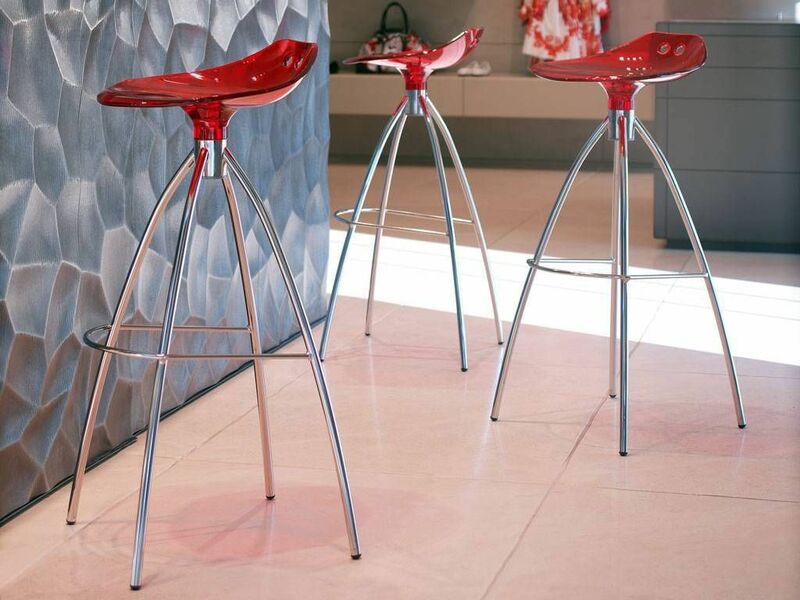 Stool in chrome metal structure, with seat and back in plastic polycarbonate. 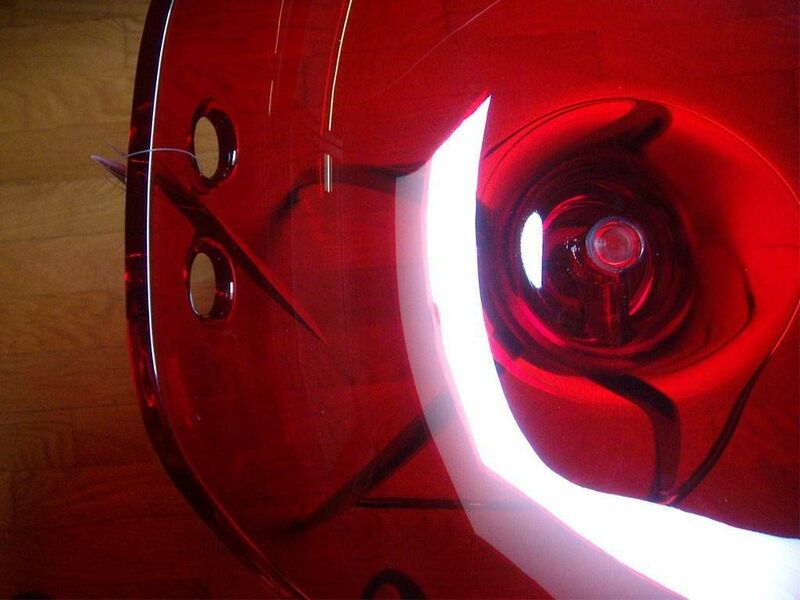 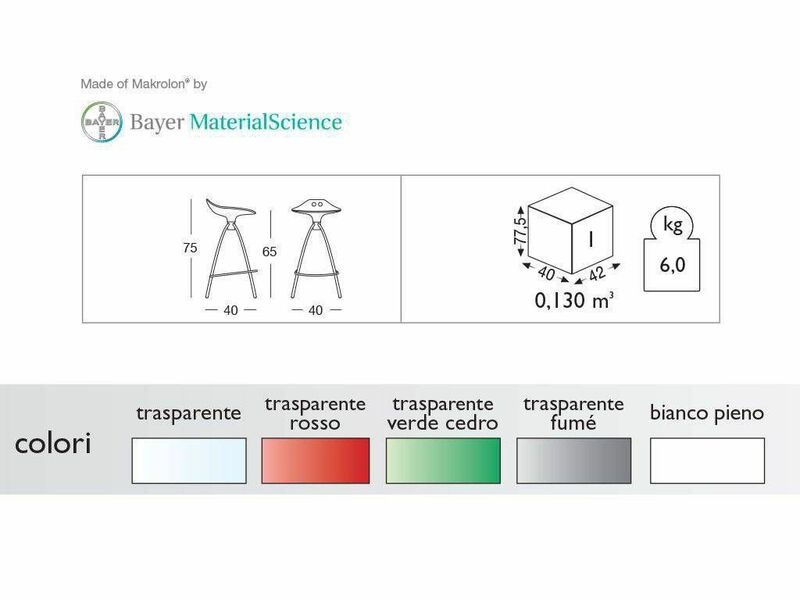 Colours: transparent, orange,red, green, fumè. 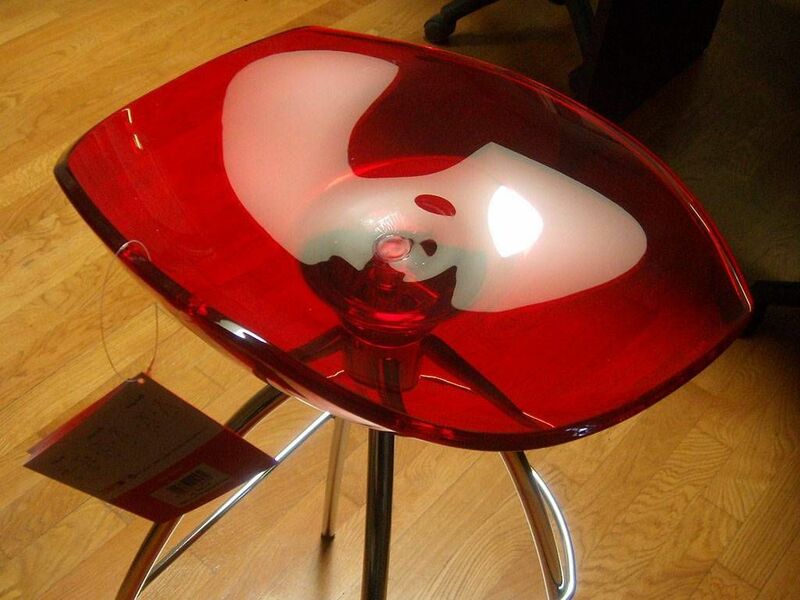 Box packaging N° 1 product.